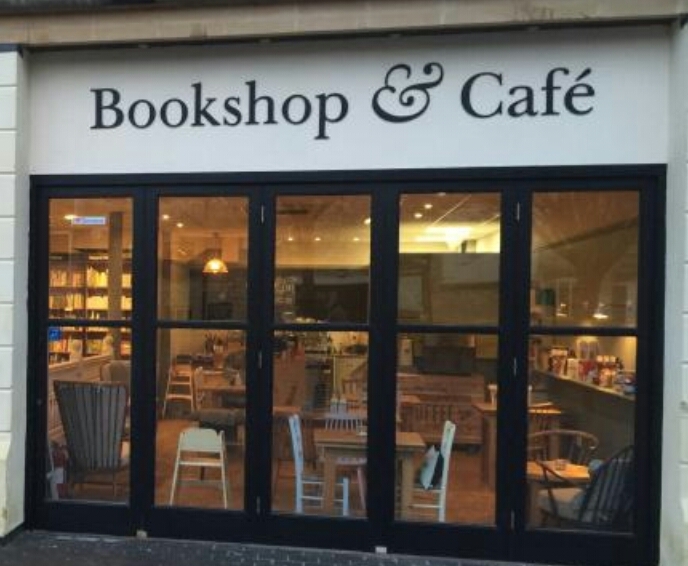 Cirencester bookshop Waterstones opened their new café at the end of January and we visited for a coffee and a cake last weekend. Previously the space had been home to a Costa Coffee which we very rarely visited (there was already another larger Costa Coffee in the town). We were presently surprised by the new café, the staff were very friendly and helpful. Speaking with the staff we found out that the café uses local produce from Cirencester’s Whiddetts Bakers and cakes from Chalford’s Lavender Bakehouse. 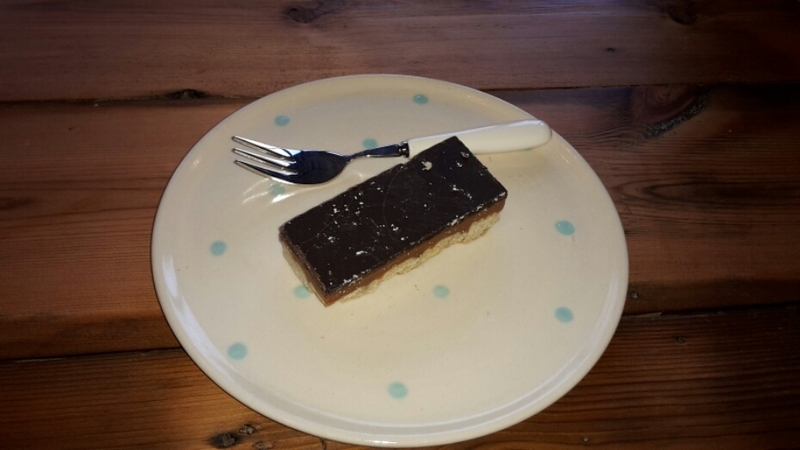 I had a soya hot chocolate and a millionaire’s shortbread, mum had a black coffee and regular shortbread and dad had a white coffee (the milk was served in a glass milk bottle like we used to have milk served in Primary School) and a flapjack followed by a piece of chocolate and beetroot cake. 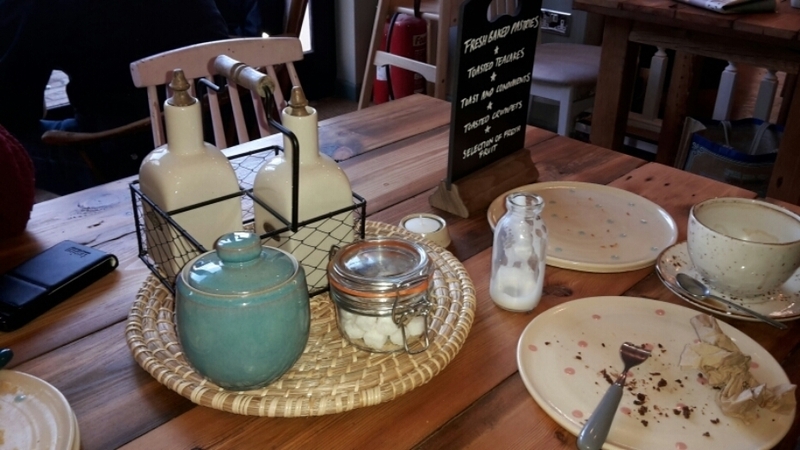 Aside from the selection of hot drinks and cakes the menu also included sandwiches, fresh fruit smoothies, organic yoghurt, smashed avocado on toast and affogato (espresso poured over a scoop of vanilla ice cream). We’ll be back again very soon!